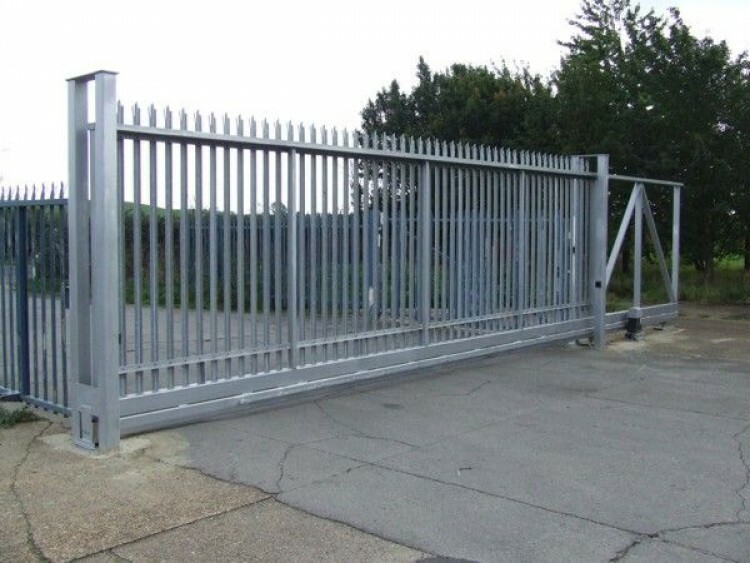 We manufacture all types of Sliding Palisade gates to any configuration. We carry Palisade swing gates IN STOCK with a galvanised finish. All sliding gates are manufactured to suit our clients needs. Tracked sliding gates manual or powered, require little more than the width of the gate leaf beyond the opening to function. Cantilever sliding gates manual or powered, require a minimum of 33% in width beyond the opening in addition to the width of the leaf required. We can supply only or supply and install.